In our previous episode with @GeorgiaVanC, we focused on raising awareness about the homeless epidemic in Los Angeles county and how each of us can play a compassionate role in helping our community. As we continue our series, we wanted to focus not only on the horrors of the homeless epidemic but also the success stories. In today's episode, our guest is Franklin Abrams. 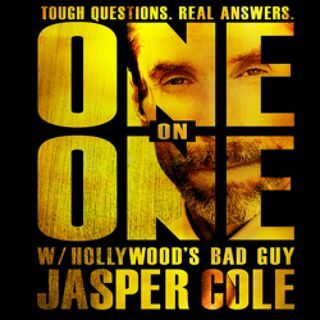 Franklin, a homeless survivor, reflects on this very dark time in his life and shares with @JasperColeSays and Producer ... See More JW how he overcame many difficult challenges (physically, mentally and financially) by connecting to care, forming lasting friendships and navigating the system of resources available. Thankfully there are some true “angels on earth” (social workers) that work daily to help make life better for people struggling with the awful trials and tribulations of being homeless. Today Franklin is thriving as a support facilitator, giving back and helping others "navigate the system" to connect to the care they need to succeed. Franklin is a prime example and true success story of how the programs that are available today can truly help people find a new home and rebuild their lives.